As you saw in the picture story, after encountering Miross, they were drastically transformed. What happened to this couple who made a decision to embrace Miross? They both had a strong sense of self-negation when they met. Before marriage, Kimie was hard on herself, and was the embodiment of the proverb “A young idler, an old beggar”. She always tried so hard to better herself, and she told others that she was a perfect case of woman obsessed with self-improvement. So, why did she always have to be concerned about self-improvement? It was because deep down she believed that she was inadequate. In other words, she had a negative self-worth and thought that she did not live up to her expectations. On the other hand, Satoshi had always been unfavorably compared with his elder brother. That made him strongly believe that he was worthless. These two people were drawn to each other like magnets and got married. Before encountering Miross, they led their life based on the conventional way of thinking. She tried to be a good wife by learning as much as she could and totally devoted herself to her husband. She tried to be perfect on the household chores, but her husband did not seem to appreciate her. No matter how hard she tried, she felt unloved. Eventually she decided she would rather divorce him or kill herself than continue their marriage. Meanwhile, Satoshi worked even harder after marriage to make his family happy. However, he was not appreciated by his company, and even worse, he was bullied by his senior colleagues. That further convinced him that he was a useless person, which caused even stronger feelings of self-hatred. 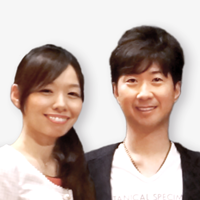 About the time they were giving up on their marriage, they encountered Miross and participated in its courses together. They both suffered a negative sense of self-worth. But the Miross system taught them that people seek validation from other people, or their external environment, as they do not validate themselves. This is the mechanism of this world. As long as they don’t validate themselves within, they will not see validation coming from other people. They tried hard to be good partners based on the traditional way of thinking, but she was not appreciated by her husband, and he was not validated by his senior colleagues. Satoshi learned from Miross that the bullying was a reflection of his own perception of himself. They were finally able to let go of their old thought patterns and started to embody the Miross concept, a completely new thought pattern. When they started to accept themselves, their world began to dramatically change. The Miross system has liberated them from old, conventional thought pattern and taught them a completely new thought system. This couple has used their positive experiences to help others achieve the same positive benefits.